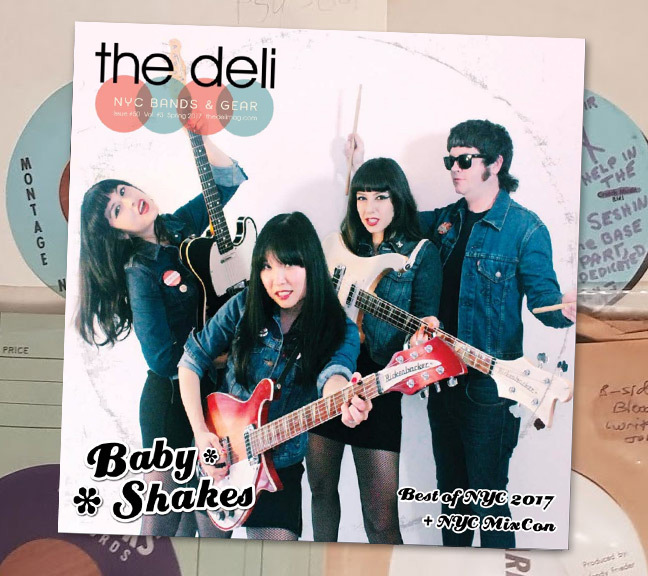 Read The Deli's Best of NYC 2017 online! Baby Shakes on the cover! The Best of NYC issue 2017 is out digitally (physically soon too! ), with glorious garage rockers Baby Shakes gracing its cover! The super fun quartet topped our Best of NYC Poll for Emerging NYC Artists earlier this year, which earned them the cover of this issue - go see them live if you can! Besides featuring more than 90 of the best emerging NYC bands organized by genre, the issue is also focused on the our free, educational event for musicians called NYC MixCon! Musicians located in or near Manhattan should take this incredible no cost opportunity to learn about mixing on July 8/9 - check out the list of incredible producers involved here and RSVP to the single presentation(s) you are interested in attending.